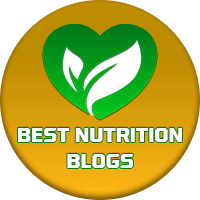 Libby's Fit Nutrition - Listed as a Leading Site for Holistic Nutrition Counseling & Therapy! Finding the right balance of proteins, fats, carbohydrates, essential amino acids, and understanding the concept of nutrient bioavailability. Learning to prepare nutritious foods instead of relying on pre-made meals or eating out." As a side note, I am also now listed on www.EDReferral.com as a provider of eating disorder nutrition therapy (search: Southern CA- San Luis Obispo County).